Mr. Geoffrey Buta (right) a photojournalist with New Times Corporation (publishers of Ghanaian Times and Spectator) has won the People Choice Award for the Reach for Change campaign. 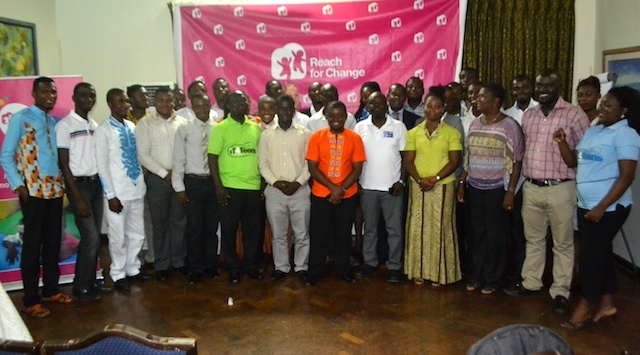 Ms. Giulia Tavolato, Reach for Change programs Manager in Ghana urged the awardees to use their talents to impact lives positively as well as contributing to the development of the country especially through transforming children to become better people in the future. Mr. Buta commended the Reach for Change team and Tigo for their search for social entrepreneurs’ efforts of changing lives in the country. Mr. Buta’s project “FOTO4CHANGE” is using photography to expose challengers people are facing in their communities especially children for individuals and organizations to assist them. Photojournalist Geoffrey Buta wins Reach for Change awards 0 out of 5 based on 0 ratings. 0 user reviews.